This article first appeared in the Sunday Guardian on 7 April 2018 with the title ‘Norway’s Orwellian system of child protection and care‘ as part of the series called ‘Global Child Rights and Wrongs’ which is being published in collaboration with this website, www.saveyourchildren.in. Tomáš Zdechovský is the third Parliamentarian from outside India to write for this series. Readers may also like to read an article written exclusively for SaveYourChildren.In on the issue of the wrongful removal of children by Western child protection agencies by Vaclav Klaus, Jr., Czech MP here. The case foremost in my mind is of a Czech mother Eva Michalakova whose two sons were taken by Barnevernet. This was the first case of the state-sponsored snatching of children in which I got involved. Before this I was mostly fighting for the rights of fathers for access to their children after divorce. These fathers had been unfairly deprived of a full relationship with their children, but the case of Eva was far worse. Her boys had been taken on allegations of child abuse that were proven to be false and yet the children had not been returned. Even three years after the allegations were found to be false, Barnevernet refused to return the children. The unfortunate brothers are till today being brought up separately in two different foster families. Barnevernet claims they are allowed to see each other once a month for a short time. Initially Eva was permitted to see them individually for two hours twice a year. Such visits that took place were under strict supervision and very harsh rules; no physical contact was allowed and use of the boys’ mother tongue – Czech – was prohibited. If she reminded the boys of their nice moments together in the past, the visitation would be immediately terminated. Later even this meagre visitation was cancelled on the ground that the mother had “harmed” the children by going public with the story of their removal. The boys’ grandfather was deprived, even on his deathbed, of the chance to speak to them once before dying. He was not even permitted to contact them via Skype on the grounds that he had shared one of the boys’ illustrations on Facebook, which was said to be “uncomfortable” for the boy. It turned out that even this silly claim was false, as in reality the grandfather had no Facebook account. And there was also no way for him to get an illustration. 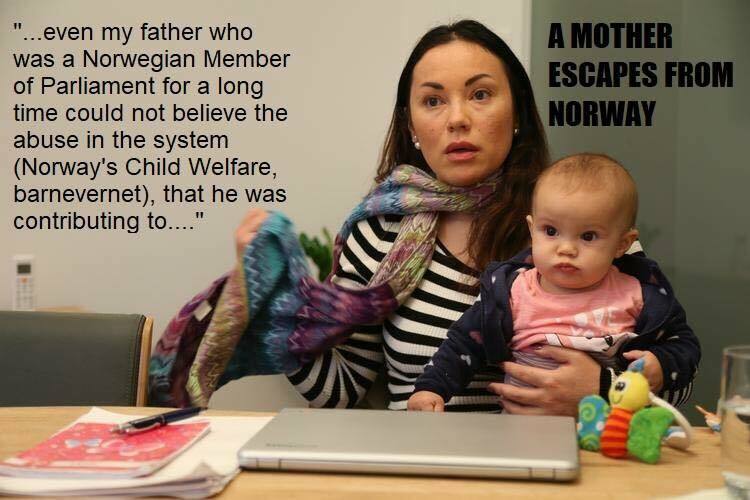 The case of the Eva’s children shows us that the current system of child protection in Norway is dysfunctional. Under the mask of protection of the rights of children, we are violating their rights, the rights of their parents and absolutely deleting grandparents from the lives of the children. Instead of protecting the real victims of child abuse, Barnevernet artificially constructs cases against innocent parents. When I personally meet Eva Michalakova for the first time in January 2015, I was impressed by her persistence and strength. An ordinary and modest woman, she was fighting valiantly against a hostile and opaque system where everything you said was used against you and no parent was given a second chance to fix even small mistakes. 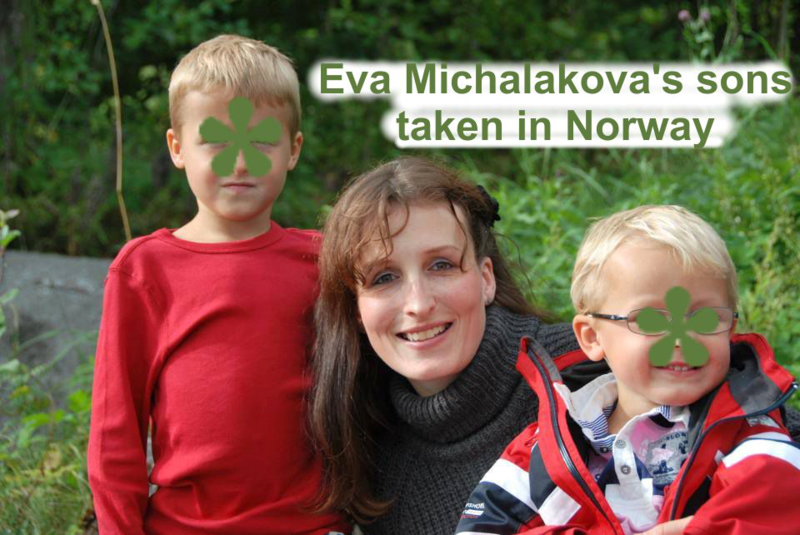 After learning of Eva’s case, I began investigating further and found that many others were accusing Norway’s Barnevernet of wrongly snatching children. Immigrant families were targeted, even when they came from as close as the neighbouring country of Sweden. In Sweden there are dozens of reports and articles, and thousands of blogs warning “poorer” Swedes against working in Norway for fear of being targeted by Barnevernet. situation in Norway, is Monika. Her daughter was repeatedly beaten up and raped in an institution where she was placed because she reported that her stepfather molested her. All evident signs of the violence were denied by the institution and described as “self-harm” in reaction to the “bad influence” of her family. The institution and Barnevernet even threatened to bar the mother from seeing her daughter if she persisted in these allegations. Another mother during a visit secretly took photos of her teenage daughter, who had been institutionalised, to prove that she had been brutally strangled while there. The daughter said she had been repeatedly physically punished and even molested by a 16-year old fellow inmate. Barnevernet dismissed the allegations saying the bruises on the daughter’s neck were an allergic reaction and that she had made up the claim abut the sexual assault. When I first heard about the cases of beaten and raped children in Norwegian institutions and foster homes I did not want to believe them. I set out to verify all claims and spent many hours reading the cases and looking at the photos. I met with the abused children and their parents. At the end of these investigations I was convinced that many of those cases were true. When I asked Norwegian politicians about those cases, they mostly kept silent or said that nothing like that could be possibly true. Some responded that it was all “Russian propaganda” against Norway, because with Norwegian crude oil and gas, Europe was not dependent on Russia. These assertions usually faded away when I presented them with photos of victims and records of cases. Then they fell silent or said that it had to be an isolated malpractice. Some time ago, Norwegian politicians even made strong promises that they will stop Barnevernet from stealing children. This was after a series of scandals of unjustified child confiscations from the Indian case of the Bhattacharya children, to Eva’s case which I have already mentioned, and the case of a Romanian-Norwegian family, the Bodnariu’s, whose children were taken on allegations of “Christian indoctrination”. 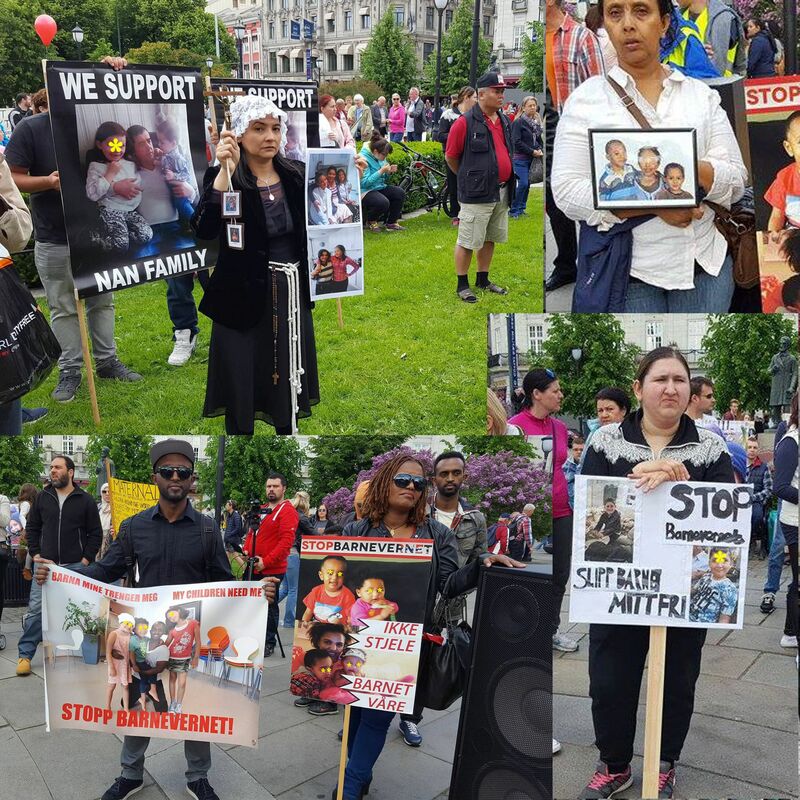 Protest against child protection services in Noway. But nothing seems to have changed. Recently, another horrifying case of child abduction in Norway has emerged involving an African family. The parents had come to Norway as refugees. On various occasions they encountered hostility from Norwegian social workers, facing prejudice owing to their African background. In 2013, their two children were removed on the finding of the inexperienced social worker that one of them, a little girl of three, had been playing in a “sexually-styled way” with her doll. The father was detained and both parents accused of abuse. But the suspicion was proven to be completely unjustified – the father was released in a few days and both children were returned from foster care after two months. Two years later, in December 2015, the children were again removed, this time on suspicion of violence against the children. Again, the suspicions were found to be unjustified and the children were returned. But in January 2016, while the case was ongoing, the mother who was pregnant with their third child, gave birth, and the baby was removed just one hour after delivery. The older children were returned in March 2017, but the baby was not returned on the ground that he was now bonded with his foster carers! This was despite the court’s having found in the case regarding the older children (the pendency of which was the only reason for the baby’s removal in the first place) that there was no evidence of any circumstances to justify removal of the children and that Barnevernet had failed to conform to the basic requirements for a proper hearing of the case. Norway is gaining an increasingly bad reputation in Europe for child snatching. Silje Gram speaking to the press. Over the last three years eight child removal cases have been filed against Norway before the European Court of Human Rights. My colleague, Julia Pitera, the Polish Member of the European Parliament, was able to have this issue raised last February during the Inter-Parliamentary Meeting between the European Parliament and Norwegian representatives. We even have a case of a native Norwegian, Silje Gram, whose father was a long-time Member of Parliament in Norway, fleeing Barnevernet with her baby to Poland and officially applying for asylum there [a Polish report on this case is here and translated into English here]. Her, father who was once a defender of Barnervernet, has changed his opinion after seeing the persecution of his own family. The Norwegian image of having the best child protection system in the world is breaking down because the real behaviour of Barnevernet officials is totally different from what they are theoretically supposed to be doing. The difficulty lies primarily in the unlimited power of Barnevernet. Virtually nobody has effective control over this state organisation. Another great hindrance to reform is that Norwegian society is typically non-critical of the state. People consider the state to be a “friend“ who wants the best for them, and criticism is viewed with suspicion. The evidence is mounting that there is something seriously wrong with Norway’s child protection system. The question is when it will be changed. In the meantime, countries like the Czech Republic and India should beware of attempts by child protection lobbies to bring this Orwellian system in our countries. 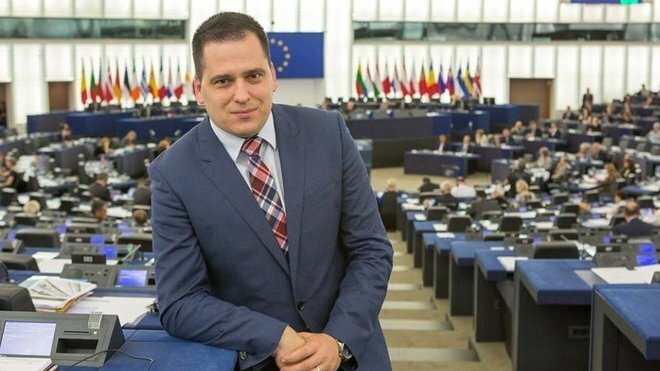 Tomáš Zdechovský is a Member of the European Parliament from the Czech Republic. His blog in Czech language frequently carries reports and analysis of child protection cases around the world.